Easy Refrigerator Pickles Recipe – these pickles are delicious! They are crunchy and sweet, easy to make and the perfect topping for a burger and make a great snack. I bet you never realized how easy sweet pickles are to make! Now that you do, you’ll be making them all the time. Homemade Refrigerator Pickles are easy to make! I’m embarrassed to admit I have a love affair with pickles. I know… I’m weird right? But pickles are my thing! I think it’s the tangy, sweet combo and that little bite you get when you crunch into something with a vinegary kick! I eat a jar of pickles weekly. Dan says it’s because of all the running I do and my body craves the salty brine? Maybe so. Maybe it’s because pickles have been something I’ve enjoyed since I was a kid. My Grandma used to make these for my brother and I every summer. She’d make them in a huge plastic gallon bucket and it would be filled to the brim. Every meal Don and I would grab a huge helping of pickles! Every meal Grandma would tell us to leave some for others, she’d scold us but then she would smile and say it’s so good to see we are enjoying them! 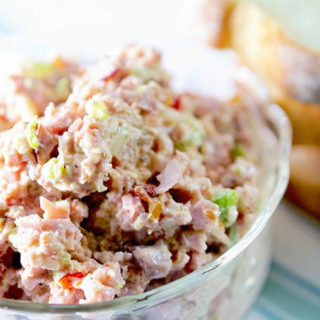 Excellent on a burger or do like I do…just eat them right out of the jar! How long can you keep refrigerator pickles? Refrigerator pickles are ready to eat in a few days, but can be kept in the refrigerator for three to four months. The longer they are refrigerated the less crunchy they become. Do pickles need to be refrigerated after opening? I recommend refrigerating pickles after opening the jar. The salt and vinegar will help preserve them, however it’s unlikely you’ll finish the entire jar before they go bad. It’s best to refrigerate them. How do you make pickles from scratch? Place the vinegar, water, salt and sugar in a medium sauce pan on the stove top over medium heat. Remove from heat, set aside allow the brine to cool completely. add them to a large plastic bowl or glass jar. Pour over marinade and cover tightly. See how easy these are to make? We eat a TON of them every summer. Any unused cucumbers get sliced up and into the brine they go! AND you can reuse the brine – wow, that makes these even easier, right? 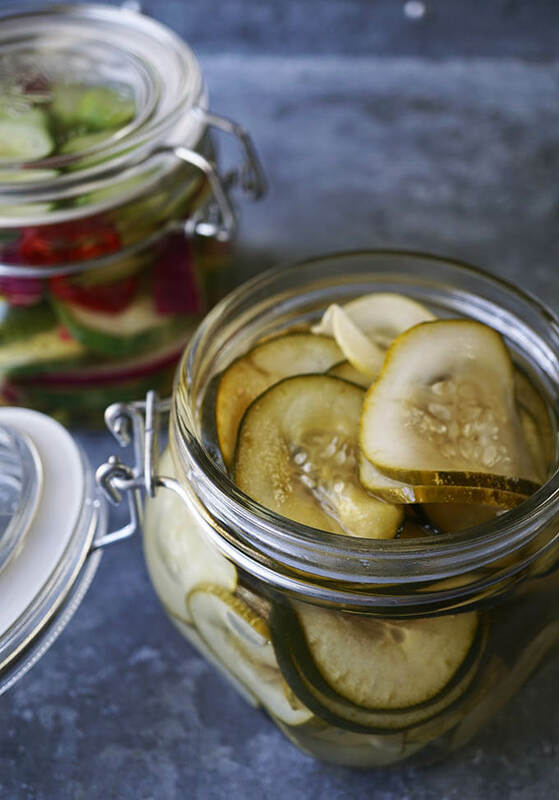 Sweet and tangy these easy refrigerator pickles are so good! Can you use apple cider vinegar to make pickles? You bet! That’s what this recipe calls for. 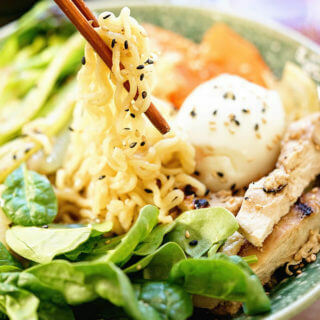 Though you can also use distilled white vinegar for a tangy bite! How long before you can eat the pickles? Three to four days. I think Grandma would leave them for a week, but they never seem to last that long in our home! 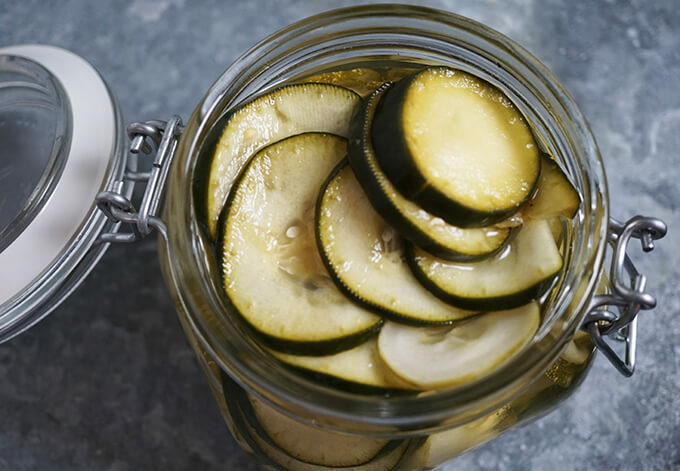 Grab your fork and dig right in, these easy fridge pickles are the BEST! 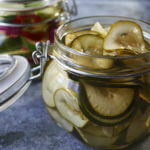 Do pickles go bad in the refrigerator? Unopened pickles will not go bad in the refrigerator because of the fermentation process from the brine. Though pickles have a “use by” date, even after that date they will not go bad. Of course if it develops any mold, discard the entire jar. Top off your favorite sandwich with these vinegar little bites. They top off my slow cooker pulled pork sandwich recipe – the sweet pickle gives this rich meat just the right touch! It is not necessary to peel the cucumbers before slicing – keep it on or remove it, your personal preference. Just be sure to wash the cukes well first. Me, I like the texture of the peel after it’s pickled. I leave it on. Also, if you like pickles on the crunchy side, slice the cucumbers a little wider, say 1/4 inch. You can keep the peel on or remove it – either way will work, it’s really your preference. This post has been updated from March 2015. Best Ever Sweet Pickle Spears – A Modern Homestead – delicious pickle spears that are sweet and spicy! Sweet Hot Pickled Radishes – Bowl Me Over – easy and delicious these pickles offer tons of flavor and a great snack! Sweet Hot Pickled Peppers – Bowl Me Over – Sweet Hot Pickled Peppers are delicious bright crunches of flavor. I enjoy your recipes Deb! Thanks Sherry!!! 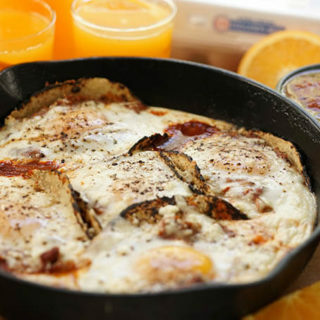 It’s great to recreate family memories and food is such a great way to share!! I’m going to give this a try! I really had no idea how simple it is to make refrigerator pickles. I bet these taste way better than store bought too! Happy Birthday to your grandmother! Enjoy Sandra – love these little pickles, so yummy! Such a great idea! And so easy! I don’t eat store bought pickles, but these, I would eat. My cukes are just starting to grow and I think I’ll be picking some by the end of next week. I’ll def. give this a try. Thanks! Oh and what a great thing it is that you all still get together like that! I spend quite a bit of money on pickles each month. There are recipes I have tried to make at home but they turn out to be a soggy mess. I think your variation of using water and vinegar makes a huge difference. I am definitely experimenting with it over the weekend. There is nothing like a homemade pickle! I could munch on these all day! They are such a tasty and guilt free snack, I hope you love them as much as we do! Oh man I love homemade pickles! Nothing better when you just need a little snack. Totally making these! 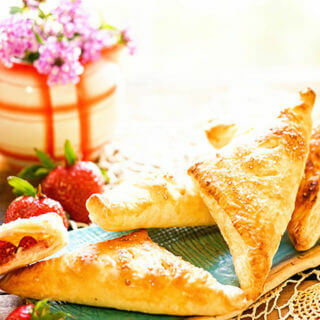 Yes, the perfect easy snack, enjoy! 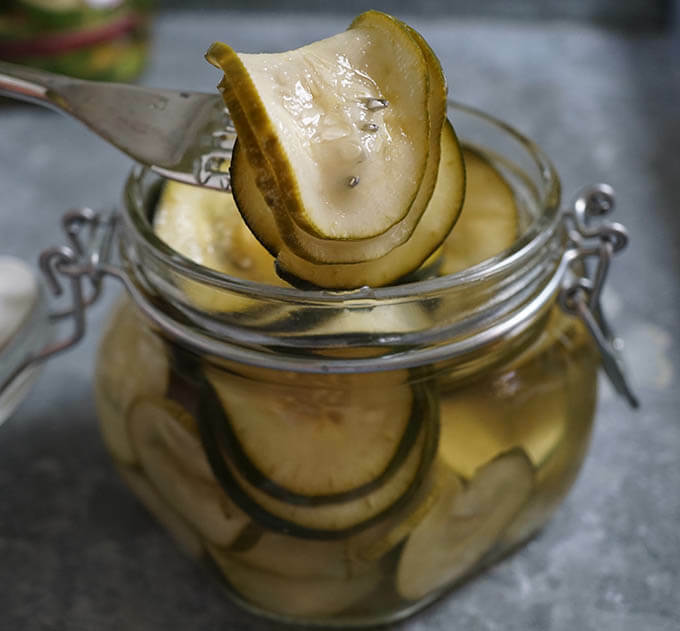 We love pickles but never make them and yet this ecipe looks so simple! Bookmarking it for cucumber season! 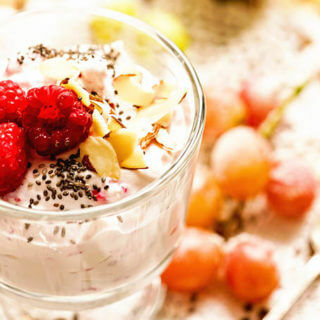 Then you should definitely give this recipe a try! YOu’ll love these sweet tasty pickles and they are so easy too! Thank you for stopping by! 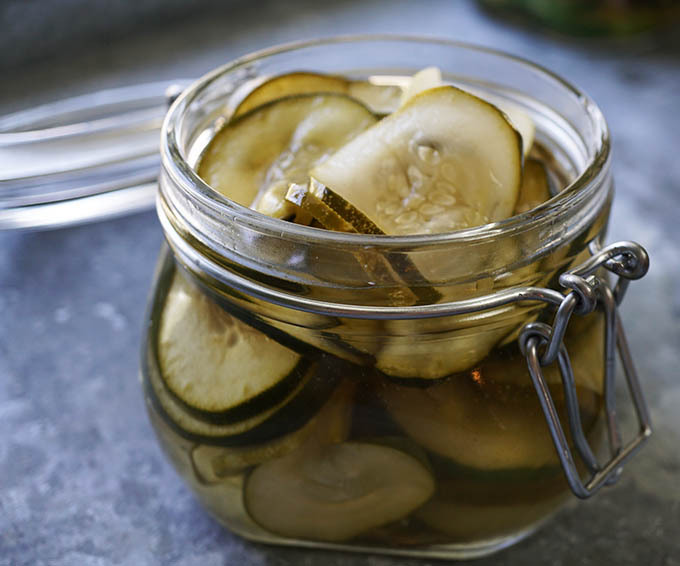 Homemade pickles are so delicious and these sound SO easy to make! Super easy and so good Lisa, I hope you give them a try! Homemade pickles are the best! 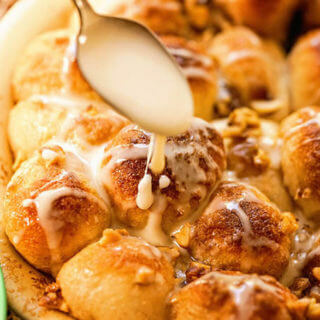 I love how easy this recipe is to make! Absolutely needed this recipe! My kids love pickles, I love pickles! And they never have the right ones in the store! I HAVE to make these! Thanks! !